The Summer Infant 3Dtwo stroller earned a 5th of 9 double strollers. This stroller is hard to push and difficult to maneuver from one surface to another. It has a strange, hard to use design that fails to provide a comfortable seat for either passenger with almost no recline ability, and odd canopies that either don't cover baby, or limit visibility to nothing. Even in the most important metric of weight and folded size, the 3Dtwo failed to impress enough to make up for its obvious shortcomings. 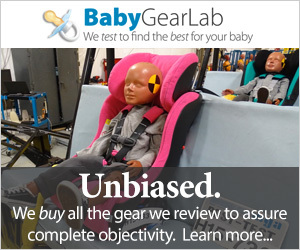 Given the tantrums that could ensue over who sits where, and its poor showing in most test metrics, this is a stroller we do not recommend, even if it is the best in-line option in the review. The Summer Infant 3Dtwo has been discontinued. Summer Infant does not make any other double strollers. William Lockett III started Summer in 1985 with the invention of the original Bouncy Seat. Lockett named the company, Summer Infant, after his daughter Summer, who inspired his first creation. Summer Infant has continued to create, design, and produce a variety of baby gear and works closely with pediatricians, child development experts, and lactations consultants as they design and improve products to ensure they are both safe and beneficial. The 3Dtwo earned its highest score in the weight and folded size metric, and it isn't really that light or small. The 3Dtwo earned a 6 of 10 for weight and folded size. This stroller weighs 21.1 lbs and measures 11,242 cubic inches when folded. This makes it the lightest in-line choice, but the ZOE XL2 BEST v2 is only 19.7 lbs, and smaller, so if space is limited, the 3Dtwo may not fit the bill. The 3Dtwo does have a carry strap, that makes transporting the folded stroller easier. The 3Dtwo has a carry strap that is too long to be a carry handle, but not long enough to use as a shoulder strap, making it awkward to use without banging the stroller into your leg. The 3Dtwo earned a 4 of 10 for ease of use, which is much lower than the 9 earned by the ZOE XL2 BEST v2. In general, the in-line strollers are harder to use thanks to features that vary in functionality and/or are too close together to work well. The 3Dtwo fold is initiated with a hand lever that is easy to use and clearly marked (above left). The fold is one-handed and the leg rest folds up, which means you need to reset it when you unfold. The automatic lock didn't work for us as the post it connects with pushes it out of the way as it folds. This stroller does not self-stand (above right). The 3Dtwo brake pedal sticks almost straight up making the top of the pedal hard to press with the bottom of your foot. The 3Dtwo brakes are stiff and difficult to set, because the brake pedal points directly up in the air, so your foot needs to bend in an unnatural way to find the top of the pedal to push against. However, the brakes are easier to release and sandal foot friendly. The 3Dtwo has a medium size storage bin that holds up to 10 lbs and our medium size diaper bag (above left). This bin has similar problems to other in-line options with the rear passenger sitting over the main access point and the side access is hard to use. If the rear passenger is in the stroller, you may not be able to get a bag out of the bin. It also has a small mesh pocket on the side for easy access items (above right), and a single cup holder that fit a standard size water bottle. The canopies on the 3Dtwo are both oddly designed and placed, with the front shade not covering to the knee, and the rear shade blocking baby's view of pretty much everything. This in-line has the best rear canopy, and is the only in-line where the canopies are similar is size. However, the shades are only average in size and only the rear one has a window. The real problem however, is the execution. When the front canopy is closed, it will be in the face of the rear passenger. When it is open, it is too close to the front passenger's face and fails to extend for any leg coverage. The rear canopy has better coverage, but opens over the front canopy so the rear passenger is completely covered in a cocoon with no visibility. This means neither seat offers a good canopy experience. The 3Dtwo harness and buckle are easy to use. Both seats on the 3Dtwo have 5-point harnesses. The harness are easy to adjust, be it rethreading for shoulder strap height, or sliding clips for tightening and loosening the straps for a snug fit. Only the front seat on the 3Dtwo has a leg rest, but even an adjustable rest can't make up for the virtual lack of recline. Like most in-line options the rear seat on the 3Dtwo has no leg room, and it also has limited visibility, limited space between seats, and baby has to be tucked inside. The rear seat has a marginally deeper recline than the front, but that is its only perk. Alternatively, the front seat has an adjustable leg rest, belly bar, and visibility, but the recline is virtually non-existent. The result is neither seat is cozy for napping, and the rear passenger will be able to pester the front rider easily. The 3Dtwo took us 4:43 minutes to put together from unpacking to ready to use. This stroller comes with an average manual and requires no tools to assemble. The 3Dtwo earned a 3 of 10 for maneuverability. This stroller rolls like a shopping cart, and is more difficult to push and turn than expected given the narrow width. The longer wheelbase makes it hard to negotiate small spaces, and the need for turning lead time makes it difficult to get out of anyone's way. The 3Dtwo has trouble on uneven surfaces and transitions from one kind of surface to another. This is partially due to the dual wheel design that can veer off course unexpectedly. It did roll through grass, but you won't want to push it off flat surfaces for very long. While the appeal of an in-line is managing doorways and urban environments with ease, we don't think the smaller width on the Summer is worth the hard to push design. Alternatively, the wider ZOE XL2 BEST v2 was easier to push and turn. The 3Dtwo is designed to tackle doorways with ease, but that is about the only positive thing to say about its results for maneuverability. This stroller only has front suspension with relatively stiff seating. The plastic foam filled wheels are small and stiff, and there is no give when going over bumps. While the seats are lightly padded, we think passengers will suffer on longer trips. The handles are foam covered plastic and very awkward to use, as they sit higher than most. This could be part of why the stroller is so hard to push, and we think shorter users will loath pushing this stroller very far. The 3Dtwo earned a low score for quality with materials and functionality that feel flimsy and ready to break. The 3Dtwo earned a 4 of 10 for quality. This stroller has an awkward design that uses disappointing materials to create a stroller that is unimpressive. The fabric does not feel breathable and while not bad to touch, it feels like slick material that will stick to skin when wet. This stroller has a lot of exposed fasteners and connection points, with flex in the handles that make it feel flimsy. While umbrella style products are normally a secondary stroller, and we expect corners to be cut, for a $200 list price we anticipated something that at least felt durable. This one neither looks nor feels like a quality option. The video below shows highlights of the Summer Infant 3Dtwo.